Recreational anglers in Hopetoun celebrated today as newly created Willow Lake was stocked for the first time with 20,000 golden perch. Victorian Fisheries Authority CEO Travis Dowling said creating new fisheries and stocking more native fish is a key commitment of the State Government’s $27 million Target One Million plan to get more people fishing, more often, and boost participation to million anglers by 2020. “Fisheries staff joined local families, angling clubs and community groups at Willow Lake for a special event to mark the occasion and to officially open Willow Lake to the public,” Mr Dowling said. 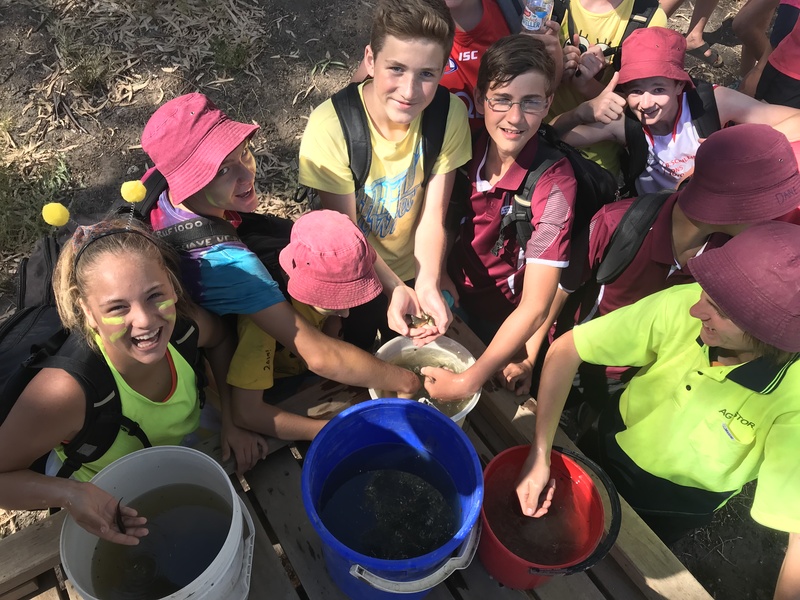 “Local school children helped with the inaugural stocking, bucketing 20,000 golden perch fingerlings into the lake’s margins. Next year, Willow Lake will be stocked with Murray cod too. “The newly stocked golden perch fingerlings, weighing 5 grams each, should reach a catchable size in about three years and will provide fun for mums, dads and kids keen to cast line. “The new fishery was created thanks to the hard work of Lake Lascelles/Corrong Committee of Management, the Hopetoun Angling Club, the Hopetoun Ski Club and Yarriambiack Shire Council. “More than $62,000 from Target One Million and around $60,000 of in-kind contributions from project partners created Willow Lake, which is a family friendly destination, away from motorised water-based activities on adjacent Lake Lascelles. Mr Dowling said he has high hopes the new fishery will match the performance of Lake Lascelles where stocked golden perch are now providing anglers with great sport.